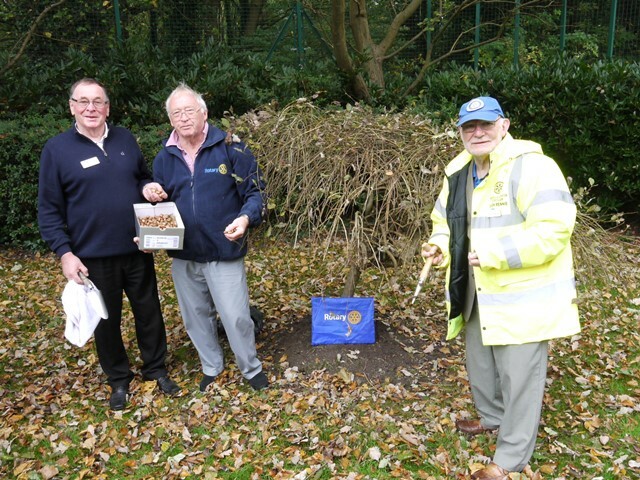 Woodlands received a very special donation of 1000 Crocus flower bulbs recently as part of a national campaign led by Rotary International for the awareness to eradicate Polio worldwide. The campaign also has the support of the Gates Foundation, with them not only matching but trebling every pound raised by Rotary International. The Rotary Club is hugely involved in charity work and the Maghull club in particular has supported Woodlands in many ways, including holding an annual Golfing Event in aid of the Hospice. Simon Rennie has been a volunteer at Woodlands for over 20 years and Les has a very personal connection with Woodlands Hospice and along with his family supports us every year by holding a Christmas collection along with their friends. 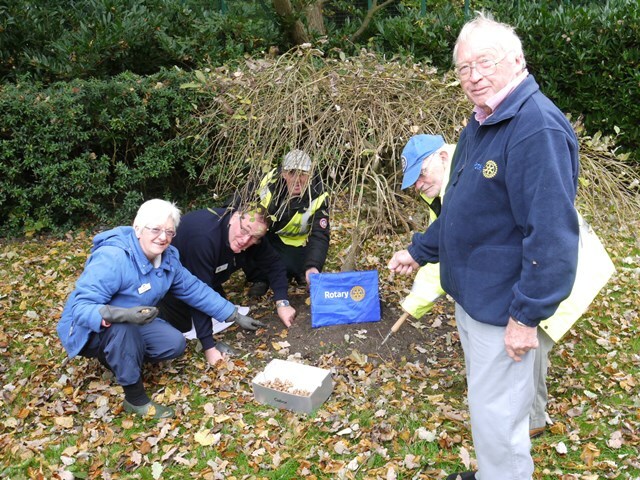 Our Hospice Gardening Volunteers helped the three Rotary members to plant the Crocuses in our main garden, with more being ordered for our Patients Gardens. We look forward to seeing them in full bloom from March 2018!